Carmakers in India are drifting towards compact car segment with the government moderating excise duty on cars with sub-4 meters wheelbase. Having said that, the market has also recently witnessed the sedan segment skyrocketing. This leaves several auto majors on developing a compact sedan without investing millions in R&D. The American automaker, General Motors is considering on adding a boot to its fabulous hatch, the Chevrolet Beat. We had recently bought you the news of General Motors replacing the Aveo model with a Sail Sedan. As a part of the 2012 venture, the company is considering to launch a compact sedan that sits below 4-meters in length. 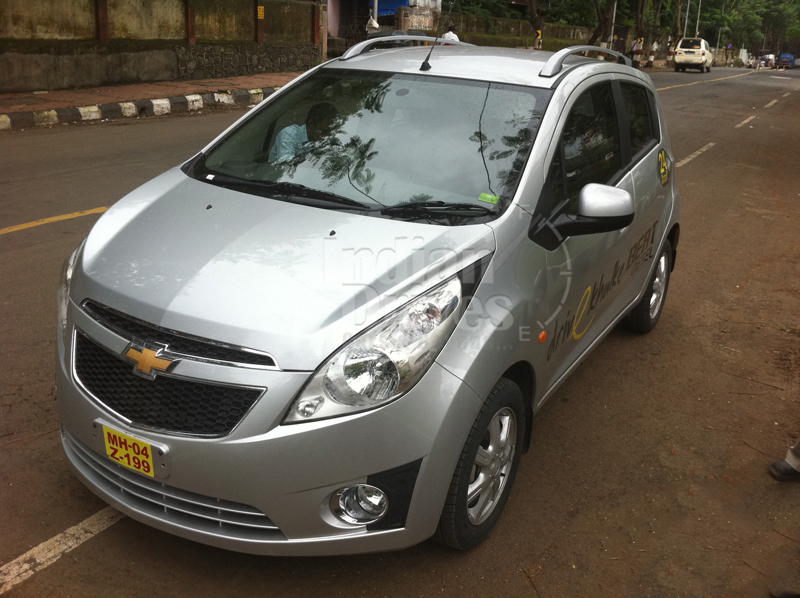 Hence, the Chevrolet Beat sedan is a practical approach, with the company saving millions in R&D for a completely new design. There is no official word from the company and the talks are in the primary stages. If all goes well, then the compact sedan market could see the titans clashing with Tata Indigo CS and upcoming Mahindra Vertio CS and Maruti A-Star sedan. Maruti Suzuki added a boot to the much-prizes Swift hatchback and pulled it off quite well. But that doesn’t mean the market will digest anything with a good repo and a hideous boot. General Motors will have to restyle the exterior to impress the new buyers. Though there is no official word from the company, the power plant options are very obvious. There is a 1.2-liter petrol and 1.0-liter diesel engines that powers the Beat hatch, and it will continue to power the upcoming sedan. While the petrol is more powerful with 82 bhp peak power and 108 Nm peak torque, the 3-cylinder diesel engine is good for a 57 bhp peak power and 150 Nm of torque. The transmission options are also likely to remain the same with a 5-speed manual gearbox. General Motor vehicles are not a favorite amongst Indian consumers and the pricing of the Beat sedan is going to be very crucial for its fate in Indian market. Expect General Motors to price its compact sedan between Rs. 4.5-6.5 lacs. The current length of 3640 mm of Beat gives deprived legroom to the rear seat passengers, and this means the engineers will have to artistically come up with a solution to add a new boot. Watch this space for more from GM.